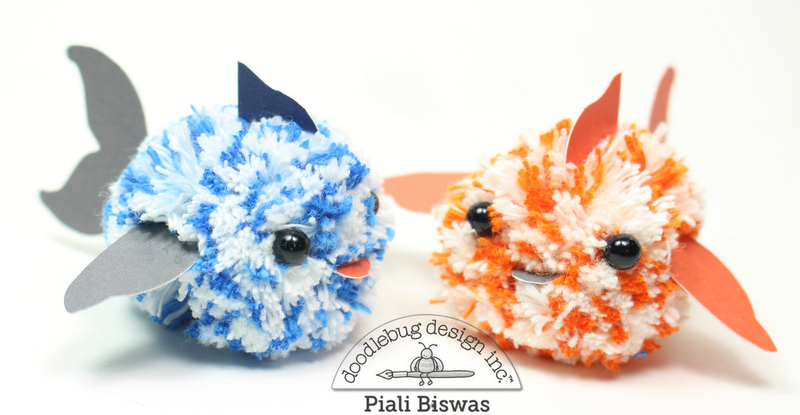 Piali here, today I have a super fun project to share with you all!! Here are some cute treats for a pool party!! I created pom pom fishes using the Chunky twines. 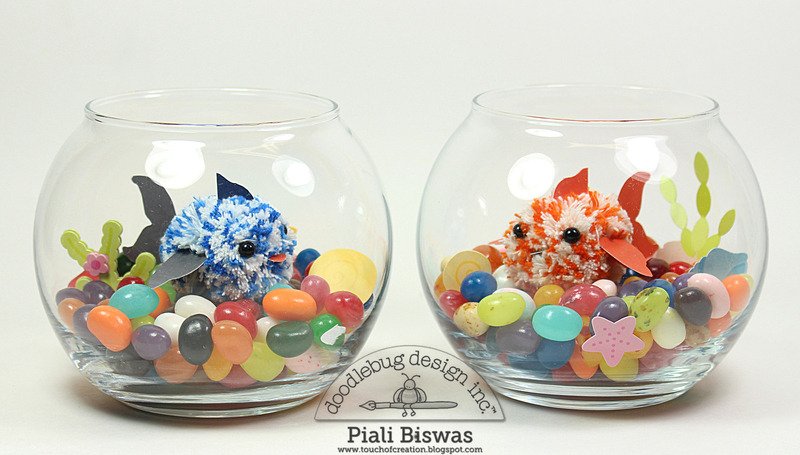 Mini fish bowls filled with yummy jelly beans and cute pom pom fish. I also added few stickers from Under the sea and Anchor Aweigh. 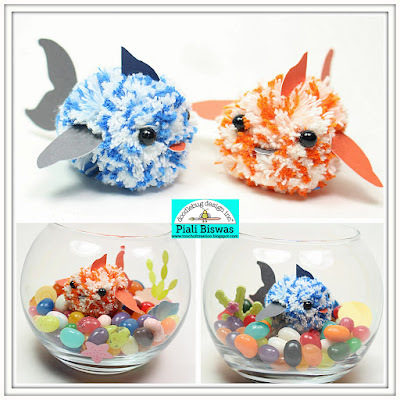 These fishes are super easy to make , I just wrapped chunky twine around a fork and tied it, then trimmed the twine to form a mini pom pom. Then added eyes, fins and tails to finish. Hope you all like these cuties!!! What a FIN-tastic idea!!!! LOVE these! I love these! They are just the cutest!!! So clever! 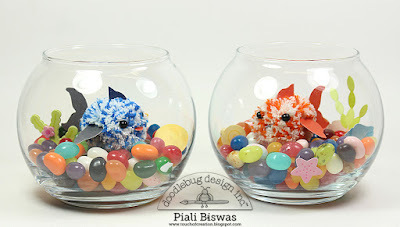 OMG Aren't you the ever so clever and oh so Creative one....Your fishies are adorable....gosh I'm awestruck....your idea is amazing...and they look so cute in the fish bowl with the jelly beans...truly unbelievable!! YOU so did a super outstanding creative job...WOW!! YOU so ROCK!! Piali - these are so fun and you are just so creative!!! What an awesome way to use this product!! Pailin, you have created the perfect pet fish!!! So cute!!! I love these. How did you do the fins? I assume you used a Cricut or Silohette. If it is the Cricut what cut or cartridge did you use?